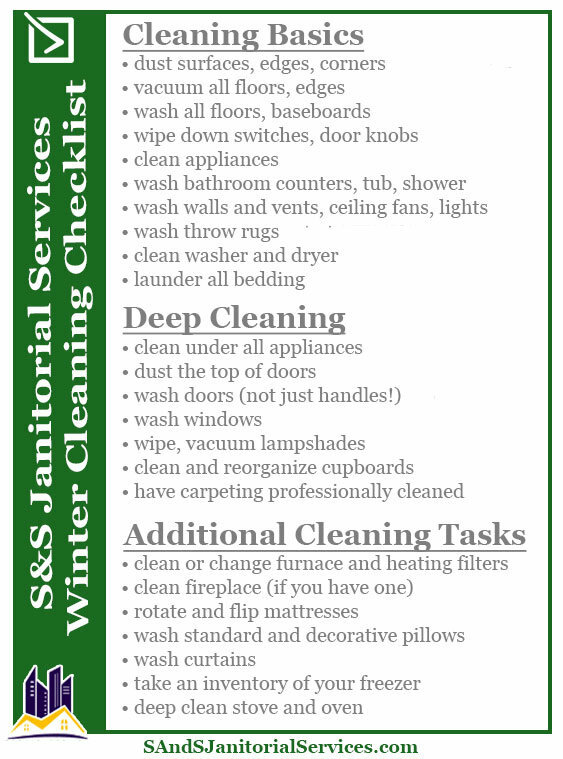 S&S Janitorial Services Winter Cleaning Checklist - Berkshire County, MA. Lets face it, winter is messy in the Berkshires. Today our focus is on rotating cleaning tasks to help make it a less overwhelming. Each week, take a little bit of time to complete the tasks on our cleaning checklist. It really depends on your cleaning routine and your schedule to see what works for you. How to rotate cleaning chores is an often-asked question for upkeep. At S&S Janitorial Services, our preference is to work on a couple deeper cleaning tasks each month when you have any “free” time. Take a look at the worksheet so you can get a better idea of what follows. We are sure you already have these tips on your own list, so we will keep the explanations short. The 3 main categories we added for convenience, because not everyone need to complete each item on this list. Each of the items on cleaning worksheet we recommend rotating through 4 times a year, or seasonally. Some of these items (dusting, vacuuming, etc.) will already be on your weekly cleaning checklist, so there’s no need to rotate these chores, but be sure to take your time and do a careful job. For instance, instead of just vacuuming the living room floor, move the furniture and vacuum under where it was. Remove and vacuum under the cushions, you may find enough change to grab a hot cup of coffee as a reward for a job well done! Dust all surfaces, but also dust books and book shelves, corners and ceiling corners. 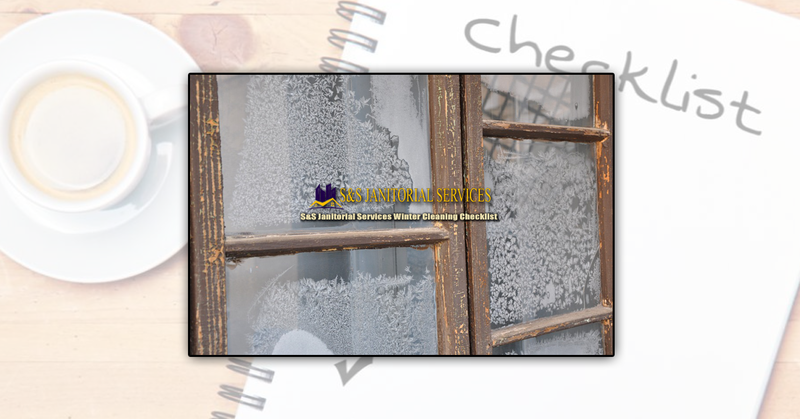 If this winter is the first time you have done a deep cleaning in your home, and you find you have that all elusive extra time on your hands, use our Winter Cleaning Checklist to check these items off your list. If you’ve washed the insides of your windows within the last month, there may be no need to wash them again so soon. 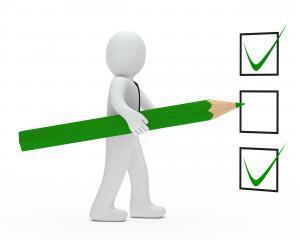 Take a few minutes to check your home and see if anything on the checklist should be completed. Winter cleaning is something that each family deals with, after the mad rush of holiday cleaning that’s generally associated with winter. As always, time management becomes an issue for everyone. Remember, if you don’t complete everything on this checklist, don’t feel bad! These are just tips, and only there as suggestions.